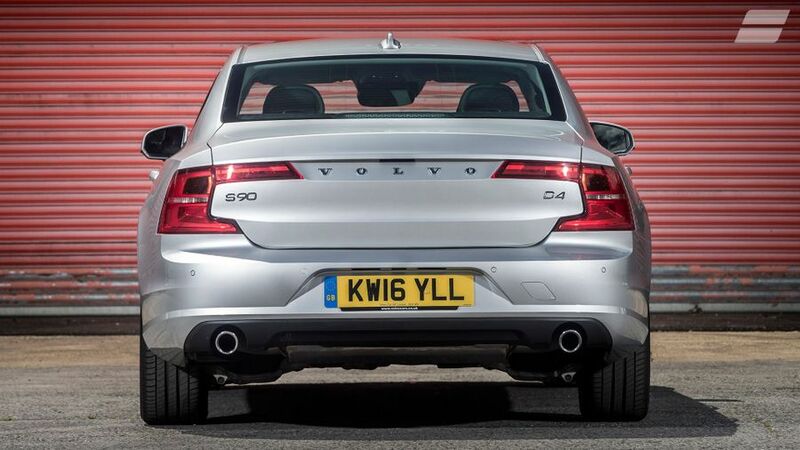 The S90 follows the example of the V90 and XC90 by giving buyers something very different from the competition. With its emphasis on comfort, refinement and smoothness – not to mention its elegant good looks – it’s ploughing a unique furrow in the face of sportier rivals. However, that’s no bad thing, and to our mind, it’s an excellent executive car that any executive car-buyer should certainly consider. Interested in buying a Volvo S90? Few will argue that the S90 is a very smart-looking car. Even the entry-level Momentum version comes with LED headlights that incorporate what Volvo delightfully refers to as the ‘Thor’s Hammer’ motif, while the body has a simple, elegant shape that bears comparison with any executive saloon you care to mention. Every model comes with alloy wheels, too, and upgrading to Inscription trim adds extra chrome trim and twin exhaust pipes. R-Design, meanwhile, gives the car a sporty makeover, sitting on lowered sport suspension, and coming with black alloy wheels, silver door mirrors and twin exhaust pipes, while the grille and lower front bumper are finished in high-gloss black. Inside, too, the S90 is a very smart car, and more than a match for any of its predominantly German rivals in terms of quality or style. The cabin is pretty much a carbon copy of the XC90’s, with a dashboard dominated by 9.0-inch touch-screen that, in combination with the wheel-mounted controls, takes care of pretty much all the car’s infotainment systems. Best of all, it’s really easy to use, with smartphone-style operation and simple menus. 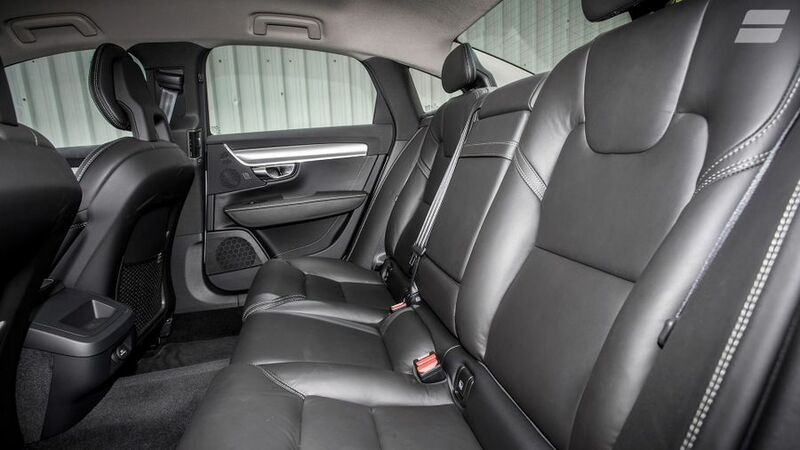 There’s no complaining about the comfort, either, and you’ll have to be a pretty odd shape not to be able to get settled behind the wheel, given how much adjustment there is in the seat and wheel, and how supportive the seats themselves are. The view out is good to the front and sides, but not so good to the rear, meaning that one of the optional camera systems (both a rear-view camera and around-view monitor are available) could be money well spent if you want to avoid denting your pride and joy while parking. In the back, there’s more than enough room for a couple of six-footers to sit in total comfort. 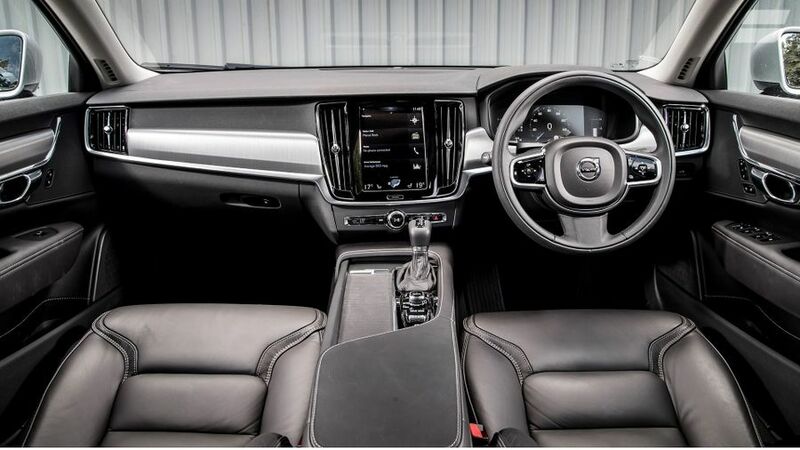 However, the S90 isn’t quite so effective as a five-seater, as the centre seat is narrower and set higher than the outer two, while the large transmission tunnel in the floor seriously restricts the available footspace. Just as in the V90, the room for luggage is competitive rather than class-leading, but what the Volvo loses in ultimate capacity, it makes up for with everyday usability. The opening into the boot is nice and wide, the lip isn’t too high, and the tailgate is electrically operated on all models. The emphasis on comfort and everyday ease-of-use is also evident in how the car drives. The S90’s aim is to whisk everyone inside from A to B – no matter how far apart those two points may be – in complete comfort and with the minimum of fuss. And, it’s something the car does very well. The ride is generally very comfortable, with the only the sharpest of ridges felt in the cabin, so you’re kept a safe distance away from the ill-effects of a battered British road surface. When you drive the car hard, there’s nothing to alarm you, just plenty of grip and a sure-footed feel that gives you total confidence. That said, this is not a sporty car in the way a BMW 5 Series is, and that's true even if you choose an S90 R-Design. Yes, things are tightened up, with sharper steering and tauter body control, but it does lead to a less comfortable ride. Whatever the trim level you choose, you never forget the V90 is a big, heavy thing, and it’s a car that prefers to be coaxed down the road rather blasted along it. But, then again, isn’t that exactly what many executives will want? The S90 comes with two petrol engines and two diesels, but so far, we’ve only tried the least powerful of the diesels, the D4. If you were the pickiest of nit-pickers, you might say that the 2.0-litre engine is a little rough and occasionally hesitant when pulling away from rest, but you only notice that because it soon settles down into a more relaxed and smooth companion once you’re up and running. The acceleration is easily accessible, and it’s combined with generally smooth changes from the automatic gearbox . It’s on the motorway where the S90 is at its best, though; the car is so smooth and quiet that it’ll eat up mile after mile at the legal limit with very little fuss. 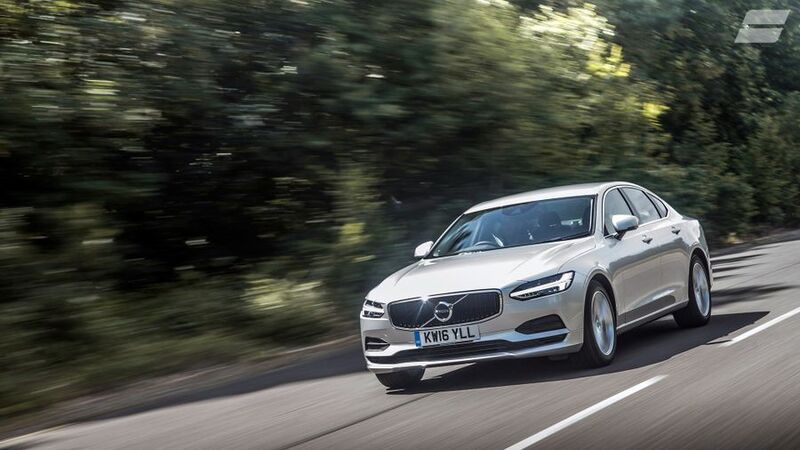 On top of the four conventionally powered S90s, there’s also a plug-in hybrid version that combines a 2.0-litre petrol engine with an electric motor to give a combined output of 390 horsepower. You can roll around on electric power alone for around 30 miles or so, and the acceleration you feel is reasonably sprightly and more-or-less silent. When the battery runs low, or more performance is needed, the petrol engine joins the party, and the combined efforts of both power sources results in properly strong acceleration. 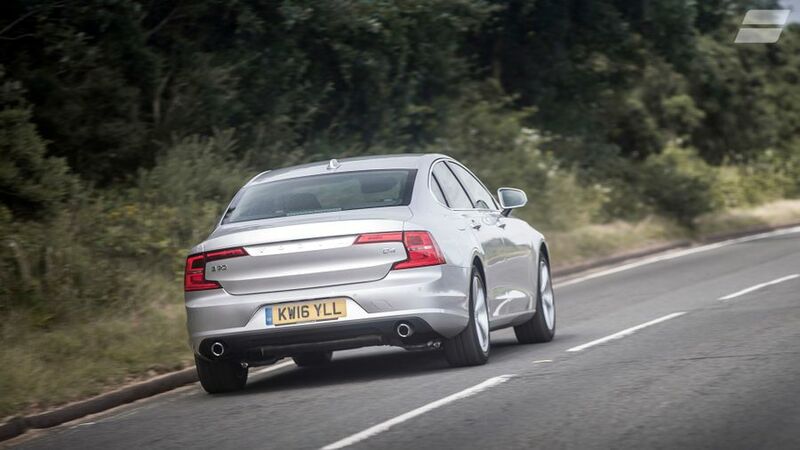 As you might expect, the S90 is a bit cheaper to buy than its direct rivals. You save a useful amount compared with the equivalent Audi A6, and the gap is bigger still when compared with the BMW 5 Series and Mercedes E-Class. Resale values are also on a par with those competitors, so you shouldn’t lose out when the time comes to sell the car on, either. Official figures say you’ll average around 60mpg with the D4 engine, a figure that drops to around 50mpg with the four-wheel drive D5. 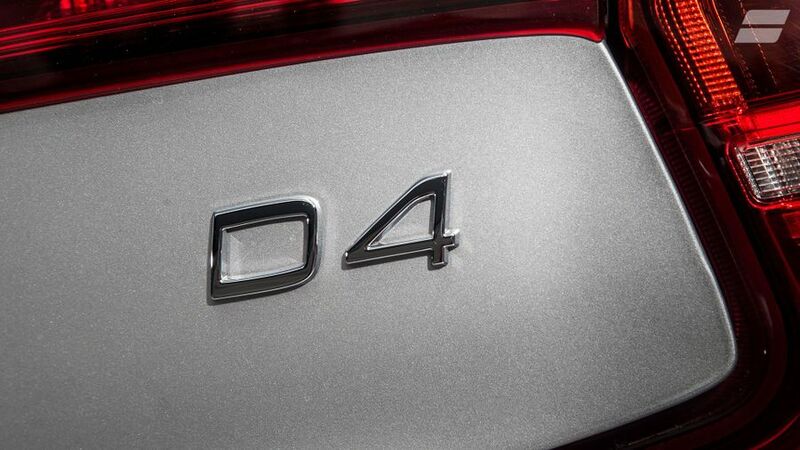 The T4 and T5 petrol both return around 40mpg. The plug-in hybrid version, meanwhile, has an official figure of around 130mpg, although you’ll have to spend the vast majority of your time driving purely on electric power to get anywhere near that figure in the real world. 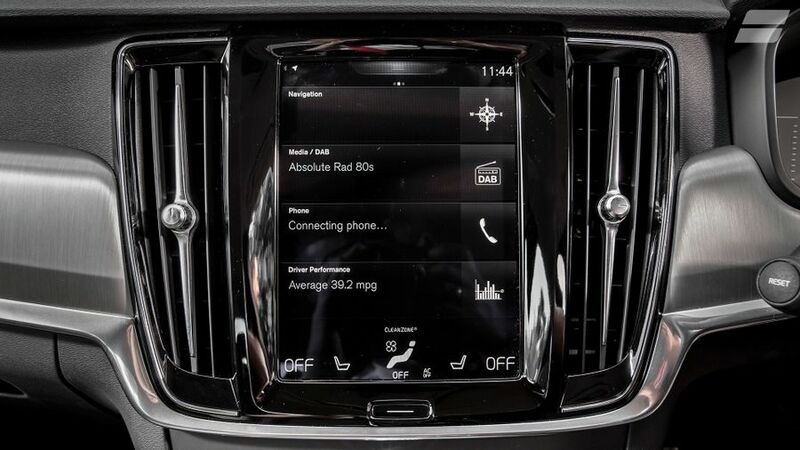 As yet, it’s impossible to be sure just how reliable the S90 will be. However, it shares much of its platform and technology with the XC90, and although there’s only limited information about that (also very new) car, what little feedback there is has been generally very positive. 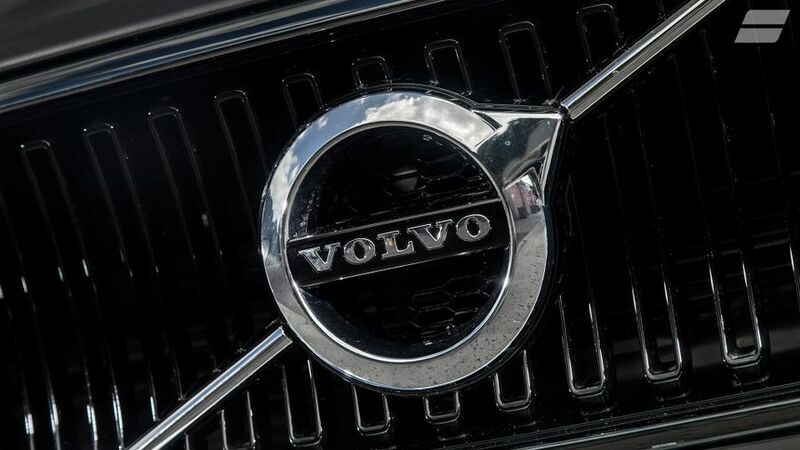 As a company, Volvo sits just below average in Warranty Direct’s Reliability Index, but that score reflects the performance of much older models, and we feel sure that more modern models like the V90 will perform much better. 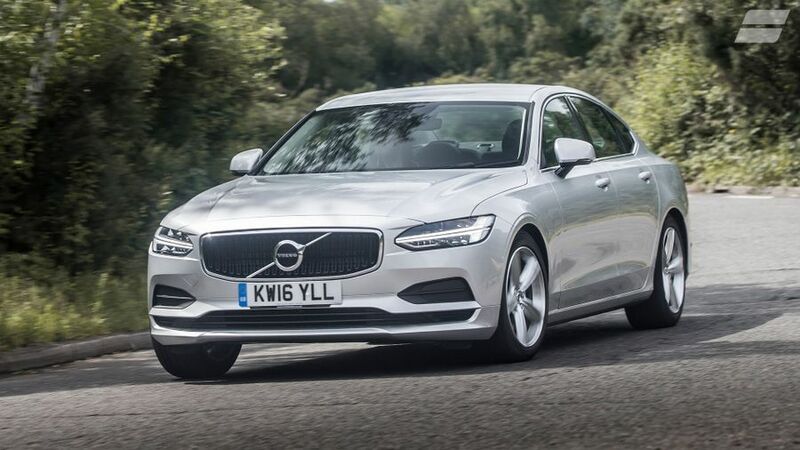 In some ways, the S90 is like no other previous Volvo saloon, but when it comes to safety, this is a Volvo through and through, with class- (if not industry-) leading safety features. Naturally, every model comes with Isofix child-seat mounts on the outer rear seats, airbags all over the place (including full-length curtain airbags and one to protect the driver’s knees) and umpteen electronic traction aids, but there’s plenty more on top. This includes the City Safety system (with fully autonomous braking), Driver Alert Control, Adaptive Cruise Control and Pilot Assist, a semi-autonomous driving system that takes care of the steering, accelerator and brakes at up to 80 mph on the motorway. And, should the car leave the road, the safety systems automatically tighten the front seatbelts, while the front seat frames have a collapsible section that helps to prevent spinal injuries. 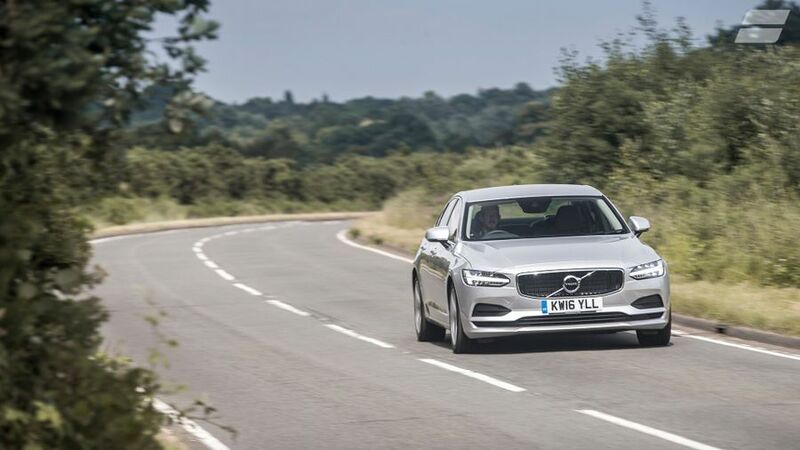 When the S90 was tested by Euro NCAP in early 2017, not only did it score the full five stars, it earned one of the highest ever scores from the organisation. Even the ‘basic’ Momentum trim level comes with the touchscreen infotainment system (which includes voice control, sat-nav and a feature that allows the car to book itself in for a service), as well as DAB, Bluetooth connectivity, heated front seats, dual-zone climate control and leather-faced upholstery. Upgrade to Inscription, and you also get full leather upholstery, electrically operated front seats, keyless entry and walnut inlays in the cabin, while R-Design gives the car a sporty look, with almost all of the extra kit being style-related. Despite the generous standard kit, there are plenty of options on top, too, and many are bundled into packs, such as the Winter pack (including heated windscreen and heated steering wheel) and Xenium, which brings you a panoramic sunroof and the 360-degree around view parking aid. 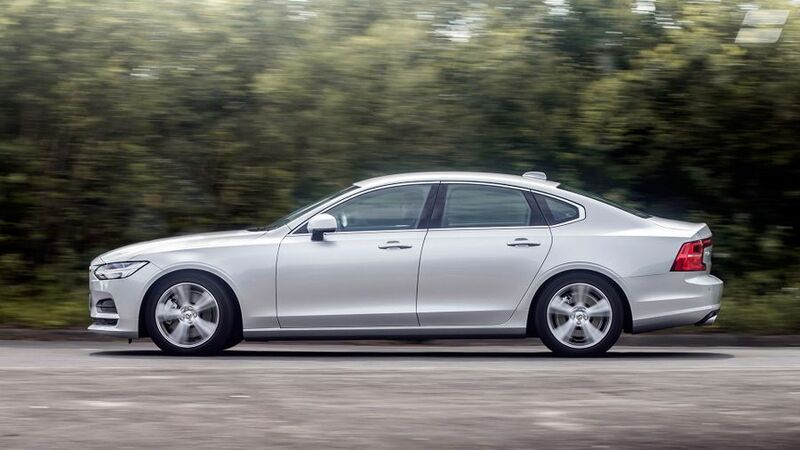 Because you want a big executive saloon that majors on comfort, smoothness and refinement rather than a sporty drive. True, this isn’t the most engaging car in the class to drive, but it’s certainly pleasant. And, what it loses in sheer involvement, it more than makes up for in everyday usability.